Trained by Diablo Velazco, Toño Cruz, and Los Calaveras I & II. Los Calaveras contributed with his training in Lucha Libre and Solar in exchange taught them Olympic and Greco-Romam wrestling. He was invited by Los Calaveras to make an unexpected debut. A wrestled was missing in a local event in San Luis Potosí and he took his place. His mask and gear were not ready and he had to go under another gimmick for that match. After his debut he assumed the identity of Solar. 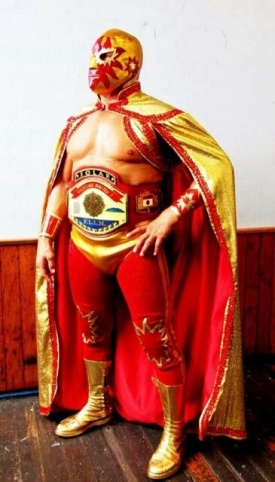 Five months after his debut during 1970s he went with Rene Guajardo's Division del Norte. Made 53 tours in Japan under different promotions. Trainer at Gimnasio Jordan from noon till 2:00 pm on Mondays, Wednesdays, and Fridays. ????.??.?? mask Solar I El Hombre Lobo ?